Let me tell you a story about a man named Ed, who took this park and brought it back from the dead. Not only once but now twice. This time making it bigger and wetter. With more downs than ups, one can say that this place was in the dumps. Now we see that with a dream can come back, before it was torn down and the dream turned into crap. The year was 1987 when 10 acres were set aside on the grounds of Kentucky Exposition Center for an amusement park they called Kentucky Kingdom. The gates opened on May 23,1987 with a log flume, bumper cars, a roller coaster called Starchaser, and a Schwarzkopf Jet Star. Texas Investors started it as a add on for the Kentucky State Fair. The 1987 year ended, with many of the venders and contractors being left unpaid. After filing bankruptcy, the rides where auctioned off and little was left. Sitting dormant for two years, a named Ed Hart came along and opened the park back up in 1990. Ed and his team added new rides and paid off all the debts the former owners stacked up. One of the new rides was a new coaster, The Vampire. It was a Vekoma Boomerang that turned some heads until it was removed in 1999. This ride now resides at Six Flags New England, now known as Flashback. A thunder was heard roaring throughout the park in 1990 as Thunder Run rolled into the park. A coaster with plenty of airtime was built by the now defunct company of Dinn Cooperation. A big splash came in 1992 with the opening of the Hurricane Bay water park. A unique ride also opened that year as The Quake, a Vekoma Wakki Wave. With that opening, showed that Kentucky Kingdom was willing to take chances when it came to new rides. The next coaster came in 1994 as the kids got a thrill, of their own with Roller Skater, a Vekoma kiddy coaster with the trains shaped as roller skates. 1995 saw another coaster, but this time it was something terrifying. T2 Terror to the Second Power opened as the first Suspended Lopping Coaster (SLC for short) to open in North America. This was Vekoma's answer to the B&M inverted coaster. B&M finally came to the park in 1997 when Ed asked them to build him a coaster. Chang opened to the public April 4, 1997 as the tallest, fastest, and longest stand up coaster. Chang was the coaster to finally put Kentucky Kingdom on the map. Leaving while on the top of the world was what Ed Hart had in mind at the end of 1997, when he sold his rights to the park. Premier Parks then bought Kentucky Kingdom, and was ready to get things going. Like a kid in a candy store Premier parks bought the Six Flags chain from Time Warner in April of 1998. Now with the Six Flags name, parks across the country that weren't before were now branded with the Six Flags name. Six Flags Kentucky Kingdom came to light in June of 98'. Before all this happened, a new coaster was being planned called Double Trouble. With the sale and name change of the park, the coaster was renamed and themed to Twisted Sisters. The dueling wooden coaster was being built by CCI, and would prove to be a very thrilling ride. June 21, 1998 saw Lola and Stella Run amuck. Changing the name to Twisted Twins before the 2002 season was done to avoid a lawsuit from a former band frontman, Dee Snyder. As the years when by, it was a Six Flags park that was a roller coaster in its self. A new coaster in 2000 brought in a Maurer Söhne wild mouse ride called Road Runner Express. The chain also brought in a used Schwarzkopf shuttle coaster called Greezed Lightin' in 2003. A hellish incident happened in 2008 when a 13 yr old girl was severely injured on the Superman Tower of Power drop tower. A cable snapped and severed both of her feet causing the tower to later be removed. Shortly after that, Chang was removed in 2009 to create room for a water park expansion called Bonzai Beach. The finally blow came in 2010 after Six Flags filled bankruptcy. A new lease agreement with the Kentucky State Fair Ground board was unable to be reached, and all operations of Six Flags Kentucky Kingdom were then ceased. Many felt that the park could still be a useful operation, and so did Ed Hart. After originally selling the park back in the 90's he wanted to bring his baby back to life once again. A group was set up and money was gathered, but the fairs board didn't think it would work out and ended talks. The Koch family, owners of Holiday World came in the picture in 2012. They signed an agreement in February and had plans to change the name to Bluegrass Boardwalk. Soon after that, they decided the red tape was too much, and the Koch opted out of the park. Kentucky Kingdom was then back at square one. The only one standing at the gates was Ed Hart and friends. 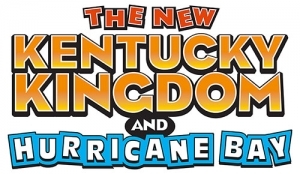 The sliver lining finally came on June 27, 2013 when Ed Hart announced that Kentucky Kingdom was a go and would reopen once again in May of 2014. The park has had major setbacks during its history, but now it seems that it's headed in the right direction. With the size of the park doubling, and new rides are being added, the future of Kentucky Kingdom definitely seems bright. We can thank Ed Hart who never gave up the idea that the people needed a place to play, and that Kentucky Kingdom was that place. The reopening in 2014 will bring a brand new coaster. Lighting Run is being built by Chance Rides, and it will be Kentucky's first Hyper GT-X Coaster. Within the next couple of seasons, will see the reopening of T2 which will be renamed, T3 in 2015, soon followed by Twisted Twins in reopening 2016. Come on out and say hi to King Louie the Lion, watch the progression of a reborn park and keep a lookout for changes yet to come.